It is now many months since I began this blog, tentatively, in the summer of 2014. 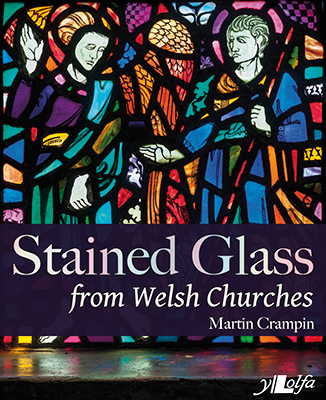 This was initially envisaged as a way of documenting reaction to the publication of my book Stained Glass from Welsh Churches, without knowing what might happen in the future. Some memorable reviews and many lectures and talks later, now is surely the time to consciously broaden the nature of the posts, beyond those centred on the book (although I have been doing a bit of this anyway). It also comes at a point when, in collaboration with colleagues at Swansea College of Art, a new centre for both the study of the history of stained glass, and of contemporary applied glass practice, is being established (more on this soon, I hope). I have also collected a number of posts together in single pages which may help draw attention to some of the most important ideas and statements gathered herein so far. All this after a good while working out a bit more about how WordPress works. I mentioned the comments facility on the online Stained Glass in Wales Catalogue in my last post, but didn’t expand very much about the resource. The site was launched in June 2011 and the development of the site is outlined on a page on the website. At the time of the launch it contained a large proportion, but not all, of the photography that I had done of stained glass in Wales, and this was made possible by a few small grants that paid for the cataloguing of the windows on the database (on top of what was already prepared as part of the Imaging the Bible in Wales Project. Since then I continued to research stained glass for the book, Stained Glass from Welsh Churches, and my archive has grown significantly, but without the funding to continue cataloguing the work. In some cases I have added some of this research, but it has not been possible to keep pace with the fieldwork. Similarly, I have done much archival work, that has brought dates, makers and other details of windows to my attention, both for windows already on the site, and for many others not yet listed. In the future I am hoping to seek further funding to add many more attributions, dates, archival information and bibliographic references to the material currently online, in addition to adding many hundreds of new windows to the resource. This cannot be undertaken in any quantity without further funding. In the short term, I will at least attend to any corrections to information that I become aware of, and will hope to add further records as time permits (but with my current commitments, not much!). After the launch of the catalogue I wanted to make it possible for others to enlarge the resource if they wished. This is possible in two ways. Firstly, comments – new information, corrections and so on – can be submitted by clicking on the links found beneath records for windows, sites and artists/makers. Furthermore, it is possible to add records of other works in glass, with or without images. Some have kindly submitted records for all of windows from their churches, which have been added with images. Please contact me if you would like to do this. The records for windows can be very brief or very detailed, and information is particularly welcomed from sites other than churches. None of these submissions are published without checking and I edit them if necessary for consistency, and add subject references and links to artists/makers, with any other information that I have to hand. I would like to take this opportunity to once again thank the staff of the National Library of Wales, on whose servers the Stained Glass in Wales Catalogue runs, and Nigel Callaghan, of Technology Taliesin, who ensures that the site continues to work properly. Recently he fixed a bug that we weren’t aware of that seems to have blocked some user comments. This only came to our attention because I was told about the problem by a user, so please contact me if something doesn’t seem to work properly. This is an example of a spread from the book, illustrating stained glass of the 1920s and 30s. I have now added more spreads from the book to my website. Readers may be interested in the banner image that I have chosen for this blog. It is a detail of an angel from the east window at the Church of All Saints, Porthcawl, by Karl Parsons, and this angel, and another facing the opposite direction, are used on the inside jacket flaps of the book. After looking at the book sometimes people have asked me whether I have any favourites, and stained glass such as this from the 1920s and 30s by artists influenced by the Arts and Crafts Movement is certainly among the best that I have come across. This large window by Karl Parsons was a memorial to a son lost in the First World War, made in 1927 with Leonard Potter. These angels are quite high in the window, and hard to see easily from the body of the church. In many cases I have illustrated details of windows that are not always easy to see from below, and thereby ‘bring them back down’ into our consciousness. The extraordinary attention to detail in glass like this certainly repays the scrutiny of binoculars or a zoom lens. The book starts in the Middle Ages and tells a story of stained glass in Wales that brings us almost up to date. Up to last year anyway. The earliest datable figurative glass in Wales is from the fourteenth century, but there is little from the late fourteenth century or the early fifteenth century. Thereafter there are a number of churches, mainly in north-east Wales, that have parts of figures and scenes of the later fifteenth century or earlier sixteenth century. There is some interesting sixteenth-century glass from the continent that was brought to Wales after the Napoleonic wars, including notable collections at Llanwenllwyfo on Anglesey and Llanarth, Monmouthshire, in the opposite corner of Wales. In common with other parts of Britain, the amount of stained glass from the later sixteenth century is small and becomes more fashionable again in the early nineteenth century as the Gothic Revival took hold. The stained glass of the early Gothic Revival artists such as David Evans and Thomas Willement was soon seen as old-fashioned in the 1850s and 60s as the ideas of A.W.N. Pugin took root in the ecclesiological movement. In the 1850s work by William Wailes was popular in some parts of Wales, while the firm of Pugin’s collaborator, John Hardman, also made windows for churches in Wales. Along with the rise of the ecclesiological movement, the impact of the Great Exhibition of 1851 brought about considerable demand for stained glass as many Victorian stained glass firms, large and small, flourished: too many to summarise usefully here. Many of these windows were initially installed as churches were built, rebuilt and altered in the second half of the nineteenth century, but the practice of commissioning memorial windows for churches has continued to provide the impetus for many commissions ever since. The practice has often furnished churches with a wide variety of styles of stained glass. The bright saturated colours of windows made by Michael and Arthur O’Connor and William Wailes in the 1850s and 60s were superseded by the more subtle tones of Morris & Co. windows and C.E. Kempe, which became the norm by the 1880s and 90s. The imitation of medieval styles was challenged fundamentally by designers such as Edward Burne-Jones, Henry Holiday and his pupils (it had also been challenged in the 1840s and 50s by stained glass artists such as David Evans and Edward Baillie, but with little success). Their work, aligned with the Aesthetic Movement, influenced a large number of stained glass firms, while the Arts and Crafts Movement, inspired to a large extent by William Morris, brought about a change in working practices pioneered by Henry Holiday, and more importantly, Christopher Whall and Mary Lowndes, designers who also played a large part in making their own stained glass. Many of the best works by the artists of the Arts and Crafts Movement were war memorial windows, and although I resisted it at first, I pulled these windows out of the chapter on the Arts and Crafts Movement to be part of an additional chapter on war memorials, which includes impressive windows by Karl Parsons at Tenby and Porthcawl. The 1920s and 30s were increasingly complex, as the range and style of stained glass continued to widen. The number of churches with stained glass also grew, including more and more Nonconformist chapels and Roman Catholic churches, although both did have stained glass in some cases in the nineteenth century. Unlike the First World War, the Second World War did almost bring a halt to new stained glass commissions between 1941 and 1945, but windows remembering the fallen and in thanksgiving for an end to hostilities soon followed and continued to be made into the 1950s. During the 1950s some tentative steps towards Modernism can be seen, and in Wales the beginnings of its own tradition of stained glass are also found. From the 1840s there is little to distinguish Welsh ecclesiastical stained glass from that made for English churches, and exported around the British Empire. The work of the Swansea firm Celtic Studios, and the course established in Swansea by Celtic Studios main designer, Howard Martin, laid the foundations for a Welsh tradition of making stained glass. This ‘Welsh’ tradition became increasingly internationalist in character, and some windows in churches of the late 1970s and 80s were made by Swansea students and ex-students, who sometimes came from other parts of the country and around the world, and have gone on to be distinguished artists in glass. From the 1970s my chosen title of Stained Glass from Welsh Churches is all the more significant. More stained glass was being made for buildings that were not places of worship, and consequently some of the interesting work by artists based in and around Swansea such as Amber Hiscott, David Pearl, Alexander Beleschenko and Catrin Jones is not found in the book. Work in churches however becomes ever more vibrant, and exhibits a wide variety of personal styles, although often staying closer to traditional methods of making stained glass, rather than the growing vocabulary of techniques encompassed in the term ‘architectural glass’. The book closes with an attempt to see what has happened in the last fifteen years and tentatively suggest what might lie ahead, as intimated by the gradually decreasing number of commissions and the creation of internal divisions in churches that invite the use of architectural glass techniques such as etching, enamelling and bonding. It has all been quite a journey. This week I received copies of my first major book from the publishers – a survey of stained glass found in Welsh churches from the fourteenth century up to the present. The intention of this blog is initially write a little bit more about it, to document what happens next, and provide a place where readers can provide feedback.